Whether you are a student, employee, or guest, the Department of Campus Safety would like to welcome you to the Concordia University campus community. Our gated campus is nestled on a sunny hill in the Turtle Rock community of Irvine and surrounded by a scenic wildlife oasis. Irvine remains one of the safest cities in the nation according to data released by the FBI. It is the mission of Concordia University’s Department of Campus Safety to provide a safe environment for members of the campus community 24/7, 365 days a year. Our department is staffed by professional, certified Campus Safety Officers and Community Service Officers who seek to provide excellent customer-based services to the community in accordance to the Christian mission and goals of the University. Our Student Safety Assistant position not only gives students an opportunity for employment but also an avenue for them to become invested in the well-being of their community. The Department of Campus Safety offers a variety of services to community members and guests. Our Campus Safety dispatch is available 24/7 to receive reports of suspicious activities and to take requests for services such as safety escorts and room lock-out assistance. Campus Safety is also responsible for the initial investigation and documentation of campus incidents in addition to the traffic management and parking enforcement on campus. 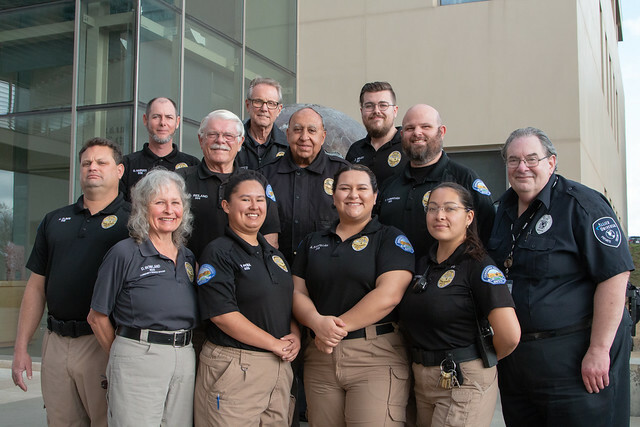 Campus Safety and Community Service Officers receive state certification, first-aid, CPR, and AED training and work closely with our partners at the Irvine Police Department and the Orange County Fire Authority to maintain a safe and enjoyable campus environment. We at Campus Safety encourage your comments and concerns and look forward to helping make your experience at Concordia an enjoyable one. The Department of Campus Safety, in partnership and active engagement with the community it serves, is committed to supporting the mission of Concordia University, Irvine by facilitating a safe educational environment as well as promoting a culture of safety and preparedness. The Campus Safety Office is located in the Administration Building Suite 103. Campus Safety officers are on duty 24/7. If no one is present in the office, please contact Campus Safety Dispatch at 949-214-3000 or extension 3000 if dialing from an on campus phone. (949) 214-3000 or extension 3000 from an on campus phone. Dial 911 first, then call Campus Safety. The Silent Witness Report provides an alternate way for Concordia community members to report crimes, suspicious activities, and other safety concerns to the University and is ideal for those who wish not to disclose their identity. If you would like a Campus Safety Officer or university official to contact you, please include your contact information below (optional). Do not use this site to report incidents that present an immediate threat to life or property. Reports submitted through this service may not receive an immediate response. If you require immediate emergency assistance, please contact 9-1-1 and then Campus Safety Dispatch at 949-214-3000. For other immediate assistance, please contact Campus Safety Dispatch.